If you follow us on Facebook you will no doubt already know about the recent improvements in the Analyse-it Method Validation edition and the release of our first video tutorial. If not, now is a good time to follow us since we post short announcements and feature previews on Facebook, and use the blog only for news about major releases. What's new in release 3.76? 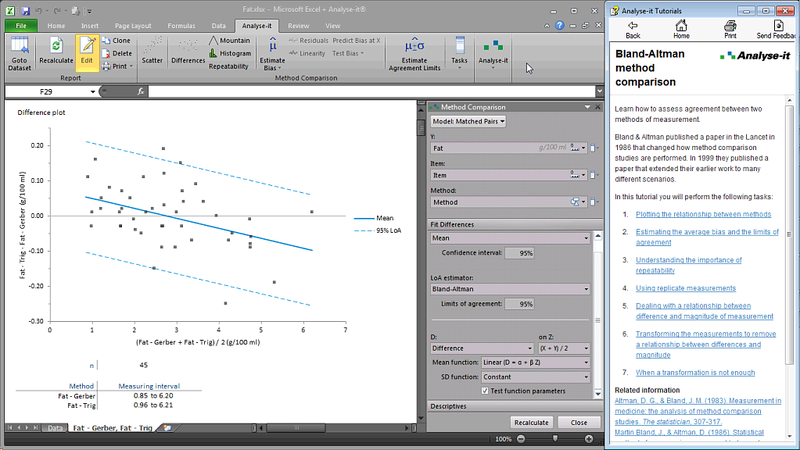 Extended Bland-Altman Limits of Agreement (LoA) so you can calculate LoA using the ratio of measurements (for when difference between methods is related to magnitude of measurement), using linear regression (for when a transformation is not enough to eliminate the relationship between difference and magnitude), or using non-parametric percentiles (for when the differences are not normally distributed). Added the mountain plot to method comparison so you can see the distribution of the differences. From the plot you can see the median of the differences, the central 95% interval, the range, and the percentage of observations outside the allowable error bands. 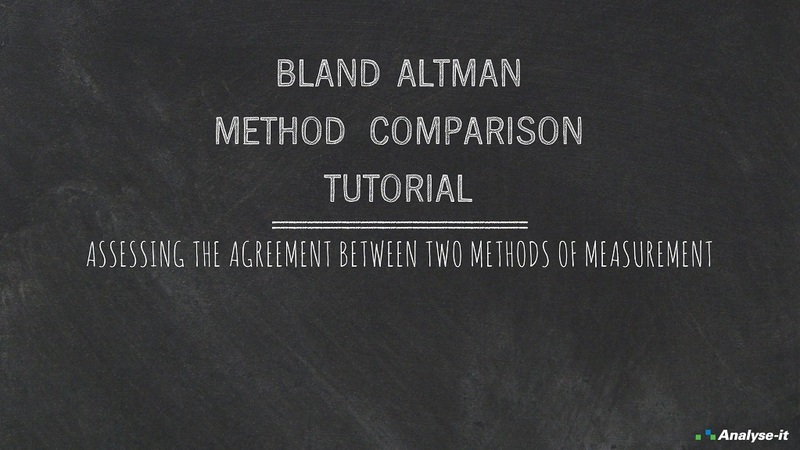 Added a new in-depth tutorial to demonstrate how you can use Analyse-it and the Bland-Altman plot to determine the agreement between methods in various different scenarios. The tutorial is included in the software. Watch our first video tutorial! Finally, we are delighted to release our first video tutorial. The tutorial is the video equivalent of the tutorial above. It walks and talks you through using Analyse-it to determine the agreement between methods. Sit back and watch the video now. We intend to produce more video tutorials in future, so let us know what you think: what you like, dislike, and how we can improve them in future.